The Tickled Trout underwent a complete refurbishment and Mounts Hill were asked to design and manufacture a new bar. The emphasis on fish both in the name of the pub and the menu provided us with the inspiration to create the feel of a traditional fishmongers. 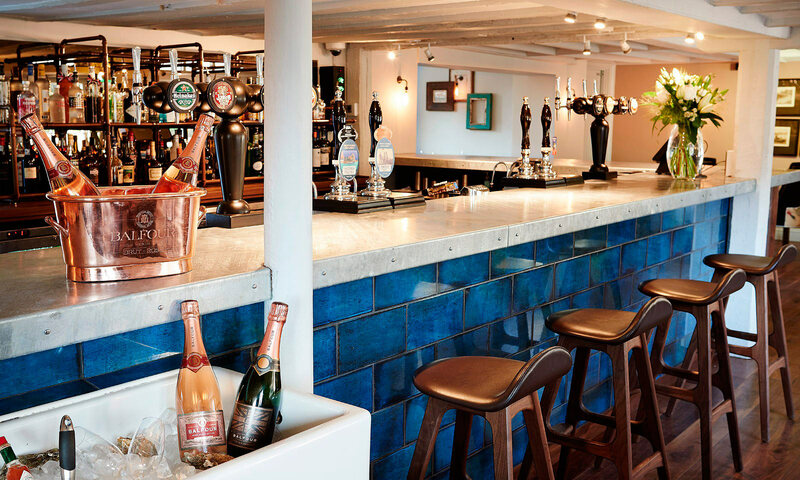 The bar was tiled in glazed blue tiles with a galvanised counter top, sitting on Xyrocleaf cabinetry. 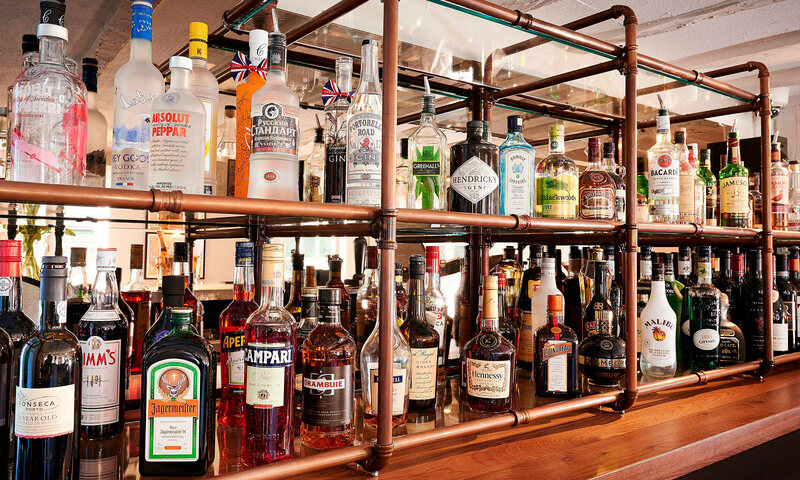 The rear bar is an aged copper display unit with glass shelves in front of a large mirrored splashback.